Now in its 10th year, the DC Caribbean Film Festival will be held at AFI Silver Sping, June 12-14. 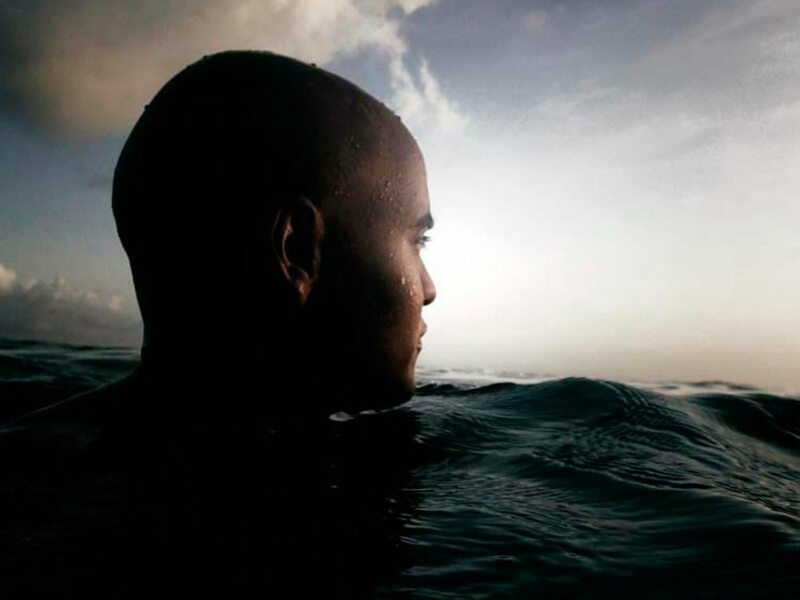 This year’s Festival once again features some of the best films coming out of the Caribbean in the past year. Let’s take a look at the lineup. A cinematic sensation in Havana and a festival favorite around the world, this film takes a courageous look into the complexities of the Cuban education system. It charts the journey of 11-year-old Chala (Armando Valdés Freire), forced to train fighting dogs and sell messenger pigeons to support his troubled mother. Carmela (veteran Cuban actress Alina Rodriguez) is his sixth grade teacher and only ally in a system stacked against him. But when she goes on sick leave, Chala is left without an anchor and quickly gets sent off to be “re-educated.” When she finally returns and realizes what has occurred, Carmela puts up a fight to get him back in school. Best Film, 2014 Havana Film Festival. Official Selection, 2014 Toronto Film Festival; 2015 Palm Springs Film Festival. Separated by an ocean, two Cuban jazz musicians continue to perform in spite of the difficulties they face. César López is recognized as Cuba’s premier saxophonist, having founded his landmark jazz band, the Havana Ensemble, in his native country. The gifted young pianist Axel Tosca lives in New York City, the leader of (U)NITY, a band which fuses Afro-Cuban culture with modern jazz and hip-hop. A documentary for all music lovers, first-time filmmaker Shinichi Takahashi explores the African roots of Cuban jazz and documents what happens when expats return to the source of their inspiration. Official Selection, 2015 Pan African Film Festival. King Curtis, a vagrant on the streets of Port of Spain, is constantly ignored by passersby. He speaks the truth about the stories behind the newspaper headlines. Charlie, a resident east of the lighthouse, is trying his best to stay on the right path. However, with no job in sight, he is finding it hard to say no to other “opportunities.” A chance of redemption presents itself when Dinah, a professional streetwalker, crosses his path in need of help. As the story unfolds, King Curtis reveals the ripple effect created by a person’s decision-making, leading to moments of triumph and moments of tragedy. Official Selection, 2013 Trinidad and Tobago Film Festival; 2015 Rotterdam Film Festival. Before reggae conquered the world, Jamaica gave the world ska. This exciting and uplifting documentary tells the story of ska music in the words of the musicians themselves, from the rhythm-and-blues-influenced sound-system dances in Kingston in the 1950s to the classic ska period of the 1960s to the coming of reggae. The film is punctuated by performances from the 2002 “Legends of Ska” concert, and features interviews with Frederick “Toots” Hibbert, Lee “Scratch” Perry, Jimmy Cliff, Keith Richards and others. A struggling Nuyorican comic book artist, Raul (Broadway’s Lin-Manuel Miranda, “In the Heights,” “Hamilton”) meets the girl of his dreams, Maria Sanchez (Mayra Matos Pérez), one fateful night on the town. But before he can get her number, she vanishes, leaving her locket behind. Knowing only that she lives in Puerto Rico, Raul hops on a plane to find his love, acompanied by his womanizing friend Juan (Jaime Camil, JANE THE VIRGIN). Once there, the two must search through the 200 Maria Sanchezes living on the island to find “the one.” This charming romantic comedy features the first major film role for Tony winner Miranda. After the terrible January 2010 earthquake in Port-au-Prince, Haiti, an intellectual bourgeois couple struggles to reinvent a life amid the rubble of their luxurious home. Needing money to survive, the couple decide to rent the remaining habitable part of the villa to Alex, a high-level foreign relief worker. He brings with him Andrémise, an ambitious 17-year-old Haitian girl of modest background. Now the couple, strained by the loss of their social position, their ideals, their dreams and desires must face this toxic intrusion. Official Selection, 2014 Toronto Film Festival; 2015 Berlin, San Francisco, Seattle Film Festivals. Oliver, a middle-class teenager about to graduate from high school, sets off on a trip across the Dominican Republic with his two best friends, Hemingway and Moisés. Oliver wants to say goodbye to his girlfriend, Veronica, before she moves to New York; Hemingway hopes to escape his oppressive family and become an established writer; and Moisés is documenting the trip as a farewell to his true passion of photography, before enrolling in civil engineering. But reaching their destination won’t be so simple and, after a series of misadventures, the trio evolve into the next stage of their lives with one constant: their friendship. Official Selection, 2015 Miami, Panama, Chicago Latino, San Diego Latino Film Festivals. This is the story of the national instrument of Trinidad and Tobago, the only new acoustic musical instrument invented in the twentieth century. 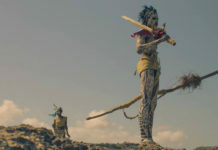 The film boldly dramatizes the almost mythical invention of pan in the 1940s, and then surges forward to tell the stories of people from all over the world — Trinidad and Tobago, France, Japan, the U.S. — who have staked everything on their love of the instrument, and whose passion and daring draw them each year to the “world championships” of steelband, Panorama. 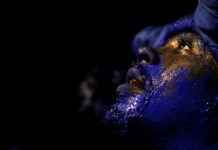 Written by Kim Johnson, Trinidad and Tobago’s foremost pan writer and researcher, this documentary is interlaced with dramatic re-enactments of the rags-to-riches tale of the steelband movement, which was born into poverty and violence but climbed to the highest levels of social and artistic acceptance without losing its life-or-death urgency. The result is an extraordinary global human adventure, as rousing and life affirming as any great pan symphony. Mónica, Violeta and Mayelin are coworkers at a beauty salon in Old Havana. On payday, they decide to go out for a night on the town, starting an unexpected and debauchery-filled journey into the depths of Havana nightlife. Shopping leads to drinks and dancing, and as the night wears on, the lively trio must come to terms with their innermost desires. 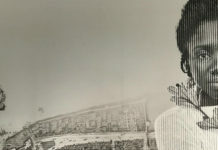 The first crowdfunded Cuban film, VENICE is a fiercely independent vision from filmmaker Kiki Álvarez (GIRAFFES) that offers a glimpse into a side of Havana rarely seen on film. Official Selection, 2014 Toronto Film Festival; 2015 Miami and Seattle Film Festivals.